Research at the University of Minnesota (U of M) suggests that tetracycline used by hoof trimmers to treat digital dermatitis has the potential to cause residues in milk. Since July 2017, the U.S. Food and Drug Administration has been conducting a pilot program to look at the prevalence of tetracycline residues in bulk tank milk, with a legal limit of 300 parts per billion. Canada’s legal limit is 100 ppb. Rapid screening tests, however, can detect levels of 10 to 30 ppb. U of M researchers used tetracycline as either a paste or under a wrap at doses of 2, 5 and 25 grams per foot on 50 cows with active digital dermatitis on two feet, says Gerard Cramer, a U of M hoof specialist and team leader on the project. 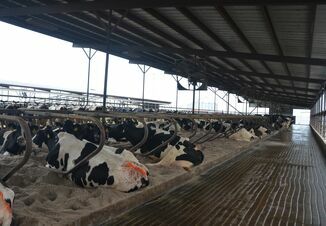 Samples were then collected from milk and teat skin from all treatment groups, and blood from those receiving 25 g every 8 to 24 hours for up to seven days. The 25 g treatment also had the longest consecutive period of detection, up to 72 hours, and withdrawal intervals range as long as 70 hours if using Canada’s 100 ppb limit. “Based on our results, we recommend that, after extra-label use of tetracycline for digital dermatitis treatment, a conservative treatment protocol be developed in conjunction with your veterinarian,” says Cramer. 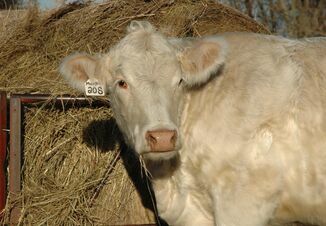 “The protocols should include gentle cleaning that does not cause additional damage to the digital dermatitis legion, using the lowest effective does of tetracycline (2g/lesion for a maximum of two lesions per cow) and, when deemed appropriate, testing of the milk from individual cows or the bulk tank with a commercial screening test for tetracycline,” he says.